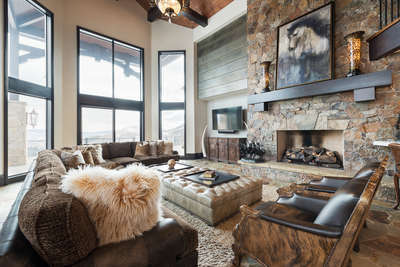 This beautiful, newly remodeled residence is located in the luxurious Empire Pass community at Deer Valley Resort, offering ski-in, ski-out access to the perfectly groomed runs on Flagstaff Mountain. With 6 600 square feet of living space, this five-bedroom home offers two master suites with gas fireplaces, seven baths, gourmet kitchen, a den with projector screen theater, four Apple TV's, game room with Xbox console and arcade, a whole-home sound system and a private outdoor hot tub. Perfect for families, this newly remodeled home features a projector screen theater, gourmet kitchen, arcade room, Xbox 360, Wii, three 4K TV's and four Apple TV's in the home, sound system throughout the whole house, high speed internet and heated three-car garage. After a day on the slopes, relax in the private outdoor hot tub and enjoy stunning views of the surrounding mountains.